​NEKUDOS MASTER is an educational game for children that are starting/learning Nekudos to master the Nekudos faster, designed with the guidance of specialists in the Kriah field. NEKUDOS MASTER may be played 5 different ways or used as flash cards, that makes it a wonderful choice for HOME, TEACHER, & TUTOR. picture dice, Yiddish & English instructions. ​"Mommy today I'm not doing the Home work" is common to every Home. ​We got you a solution do it with NEKUDOS MASTER. But be aware that you will have a new problem putting your child to sleep, cause He/She won't stop playing. It is a great game for Parents to play with your child & spend quality time, or just play with friends. Did you get a call/letter from the School that your child needs practice with nekudos? Don't worry!! Just buy nekudos master & He/She will grasp the nekudos fast. 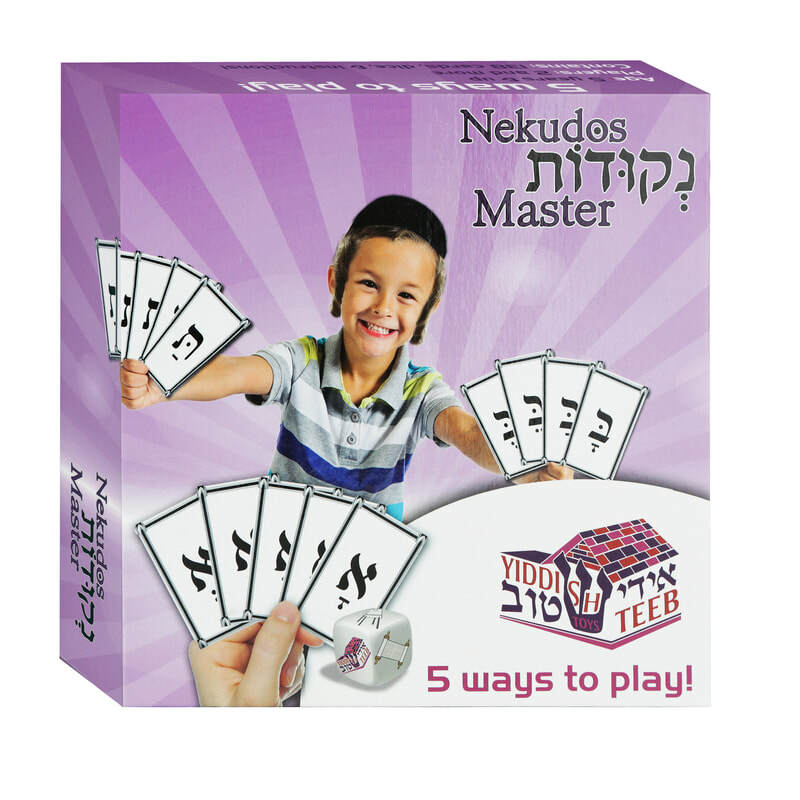 NEKUDOS MASTER is the only flash card with the Nekudoh printed on the card that is black & white, Vilna fund & with a typical frame, Which is not complicated as instructed by professionals in this field, All to make it easier for children to master the nekudos. NEKUDOS MASTER is formed with a better quality card it should last longer, Some games of the Nekudos Master can also be played with your students. 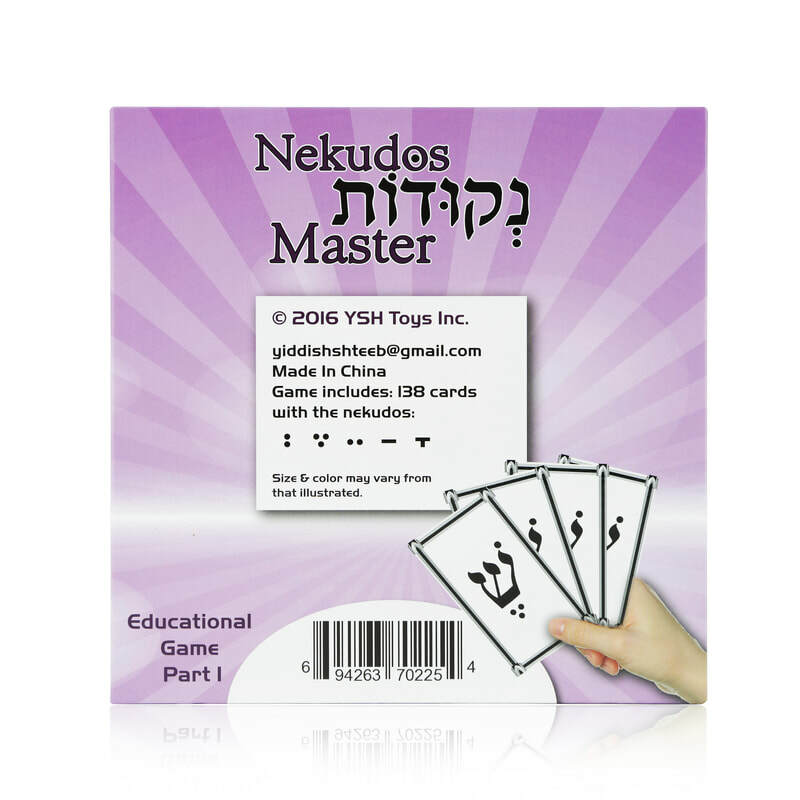 Nekudos Master part 1 is the only flash card with the Nekudoh printed on the card that is black & white, Vilna fund & with a typical frame not complicated as instructed by professionals in this field all to make it easier for children to master the nekudos. 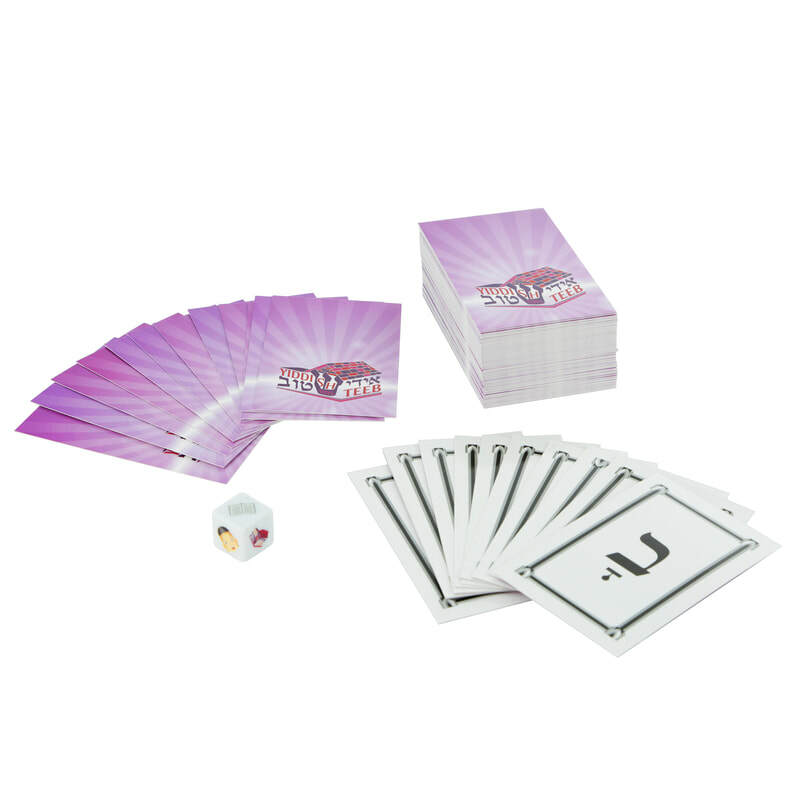 Make the tutoring an exciting experience for the child with one or all of the five ways to play or simply use it as flash cards.